I don’t know what’s really going on with this whole oil thing, but the fluxuation in Gas prices over the last year has been insane. 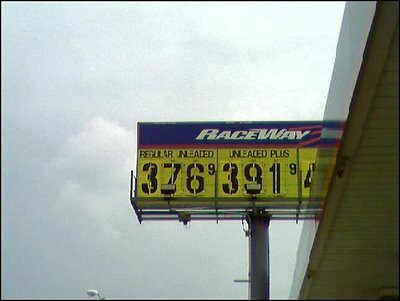 In July of last year before my roadtrip, I commented on how cheap $3.76 a gallon was. Does this help fuel (no pun intended) the argument that everything is relative?